Mama Creek here with another update. 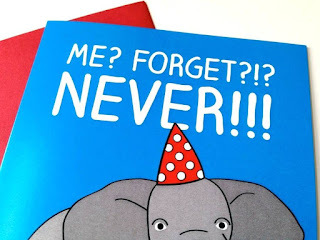 My birthday is tomorrow! You can help me celebrate the day, jumbo style. 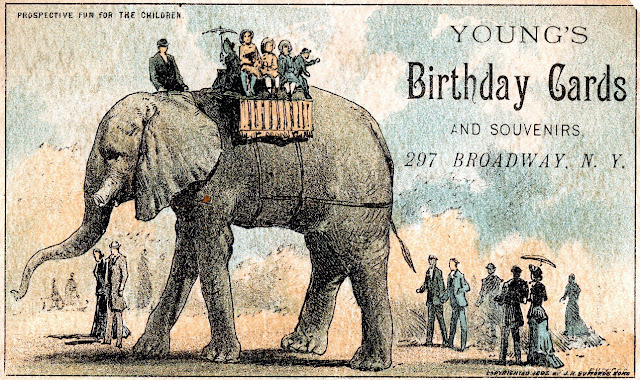 No, I am not quite as old as this card. I would like to dedicate my special day to Hazel's health. That's not so different from the other 364 days, except I'm inviting you to join me in the effort. 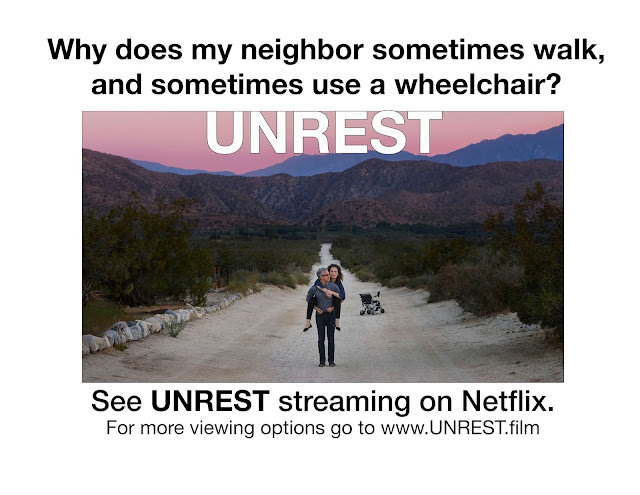 Hazel just turned 25, is disabled since age 13, bedridden, and hasn't been able to leave the house in nearly three years. She's in constant pain with multiple complex chronic neuroimmune diseases, related and unrelated conditions, and co-infections, including trigeminal neuralgia ("the Suicide Disease"), severe ME, chronic Lyme disease, and orthostatic hypotension to name just a few. Now, due to mismanagement of her case by the private health insurance company that administers Medicaid in her county, Hazel hasn't even got a primary care practitioner on board. A doctor with experience in these complex diseases and expertise with a variety of treatments is willing to take Hazel on as a patient, beginning with a thorough history-taking by phone, and a house call to establish care. The doctor works with a world-renowned practice known for treating Lyme disease, the principal physician of which practice coauthored highly-regarded research a couple years ago. We're most fortunate to live near enough to that practice to get home care for Hazel from one of their doctors. That's a private practice which does not accept Medicaid, nor, in fact, any insurance. Getting by on sub-poverty-level disability, Medicaid is all Hazel has, and she doesn't have anyone but me to depend on for assistance. And I'm in the same boat! Disabled, with no disposable income. 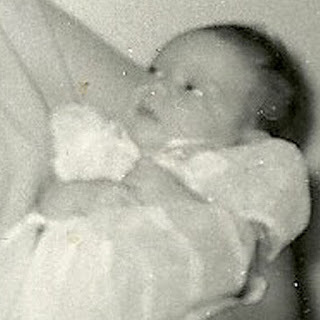 Hazel's birthday fundraiser brought in 67% of our $2500 goal for starting care with that private practice. In fact, we now have enough in the kitty, in Hazel's ABLE account, to pay the doctor for the initial house call. People from all over the world come to see this doctor. More than a month after contacting them, we are still waiting for that appointment to even be scheduled. But the Practice Manager should be calling any day now to set that date. The remaining amount we're looking to raise will go towards treatment and follow-up appointments. This is a really hopeful moment. It could be the turning point after over 11 years of suffering. Next September, Hazel might be able to come downstairs--or even go out briefly--to celebrate both her birthday and mine. It will absolutely make my day (and year and life) if you can help me get Hazel the care she needs. The outstanding support for Hazel's birthday brought her renewed hope. She had been ready to give up. Many thanks to all who were able to pitch in! You saved her life, truly. We will never forget. Thank you for giving the best gift ever. And there's no gift wrap or postage required! You've made one mama's song a little sweeter. Financially, we're over 1/3 of the way there. Adding up donations via PayPal and those via Facebook, you've given $846 to help keep Hazel on the planet. Thank you so much! That's 34% of the $2400 total we're aiming for. Of that $2400 total, $1200 would pay for a house call from a doctor who has years of experience treating Myalgic Encephalomyelitis and Trigeminal Neuralgia. She works in a practice that received international attention for the principal MD's co-authorship of important M.E. research a couple of years ago, and we're really lucky that the practice is near-local to us. While $1200 may sound like too much for one doctor visit, it includes travel time and two hours with the doctor. An initial visit of two hours is necessary for establishing care, because M.E. alone is so varied from patient to patient, and there are so many co-morbidities, so it's a really complex picture, taking a patient's history and deciding which tests to run. The remaining $1300 will help fund everything from treatments to specialists. Hazel takes some expensive supplements and may be prescribed medications not covered by insurance. In addition, she's likely to be referred to a dental specialist whose CT scan can identify the damage done to her jaw during a botched extraction a couple years back, and determine whether her unbearable jaw pain can be addressed. And of course there will be additional doctor visits--at home until Hazel's well enough to make it into their office-via telephone or internet whenever possible to keep down costs--and the doctor is aware that we're fundraising to make this happen. Just seeing how completely the doctor "gets it," and knows what steps to take next, I'm feeling more hopeful than I have in a while. And the doctor is a possibility because someone in her office saw one of my Facebook posts so, whatever else I say about Zuckerwhatsit, and however much I call his invention Fascboot, it does work to facilitate communication that can save a life. Some people "get it" and are moved to tears to know the kind of hell Hazel has been living in, and to see the fights I have to fight on her behalf. Some people seem completely unaware, or just don't care. I'm so grateful to you who know and care. Thank you all for the help and the hope you give us. If you haven't helped, you still can...and if you'd like some more background info, read on in this blog. The post immediately previous to this one has some of Hazel's illness history and links to more information about Myalgic Encephalomyelitis. If you'd like a thank-you of some sort, I'll be glad to write you a poem or read your tarot, and of course... just... wow, thank you! Today is Hazel’s 25th birthday. She’ll be in bed all day, in pain. The landmarks others celebrate are hard for her. She has been sick with Myalgic Encephalomyelitis (M.E.) since she was 13. For her birthday, I hope to raise enough funds to get Hazel a home visit from an M.E.-literate doctor. I hope you will help. Hazel lost her entire teen years and early twenties to painful and debilitating illness. Her case of M.E. is very severe. She is bedridden. Tooth brushing is difficult, bathing near-impossible. Making things even tougher, I (her mom) have M.E. too, though my case is less severe and I'm not mostly-bedridden but only mostly-housebound. As I am Hazel's sole immediate family, we struggle against many challenges. Recent research shows people with M.E. suffer greater debility than those with M.S., yet funding for M.E. research is far less—it even falls below funding for male pattern baldness—and there's no formal assistance available to help patients cope. That’s why we have to reach out to you, to help Hazel. M.E. costs patients an average of $24,000 per year. Hazel has only been able to make one visit to a clinic that focused on neuroimmune diseases like M.E., Fibromyalgia and Chronic Lyme Disease. That was years ago—the doctor she saw retired—and the search for care resumed. Even to get basic primary care, in-home, is near-impossible. Every M.E. patient suffers from a slightly different array of symptoms, so there’s no one-size-fits-all treatment. Care must be highly individualized. To get a house call from a doctor who has the expertise to solve the individual puzzle of Hazel’s illness, is going to cost $1200. Thrilled to have found a competent M.E. doctor, I told one friend the price we’d been quoted. She gasped, and said, “That’s too much!” But that’s for a two-hour intensive first visit, including blood draws, plus travel time. To see such a doctor in their clinic would cost at least $1000. And how much money is too much, to keep your child alive? Surely more than $1200. Our resources are drained constantly, with no improvement in Hazel’s health. The cost in dollars and in effort, of everything from pain relief to dietary supplements, adds up to make it impossible to meet daily needs, let alone basic medical care, just to maintain her mere survival. Never having been able to work, Hazel lives below poverty level, on disability, and while she does have Medicaid coverage, that’s the most minimal insurance there is, and doesn’t cover many of her special medical needs—including this big birthday blowout: this effort to celebrate her quarter-century by scheduling a home visit from a doctor who can actually help. People younger than Hazel spend more than $1200 on Spring Break or Prom night. People Hazel’s own age spend more on a wedding gown or used wheels. Hazel can’t date, dance, or drive. Please help me raise the funds she needs to see a doctor who can give her some hope of enjoying future years, as she has been unable to enjoy the past dozen years. Without specialized care, the only improvement Hazel can imagine is the release from pain that her death would bring. With specialized care, she may recover a large percentage of normal function. She may yet dance, one day. Please help her see that day. Hazel has made it to her 25th birthday, and I’m celebrating that, by doing my best to keep her alive and hoping, but she needs your help. Thank you, and best birthday blessings! Hazel made it to the beach! (Once upon a time.) 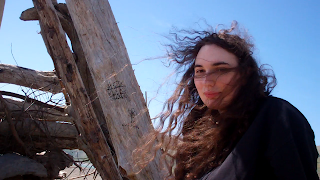 I drove her, and helped her down the path, to a place near the parking lot where she could sit on the sand and see the waves, breathe the salt air and feel it blow her hair about. She couldn't run in the waves. She couldn't even make it down to the waves, a few yards away. But she could watch gulls circle, squish her toes in the sand, and feel a little more alive. Paybacks were hard, of course. That's how M.E. works. Post-Exertion Malaise (PEM) knocked her out for weeks afterwards. That summer seemed hard enough. The trip to the beach had been her first outing in years. Now, four years later, it's her last outing just for fun, and it has been years since she could even make it out to a doctor's office. This summer has been beyond difficult. It has been an ongoing nightmare. Hazel started out the summer pretty certain it would be her last. The pain has just been so intense, the only escape from it that she can imagine is death. She didn't know how long she could go on living, with the pain. She hasn't been downstairs in months. She hasn't been out of the house in years. We've been able to get a doctor in to see her, but then the doctor couldn't prescribe, because we weren't able to get a home visit for phlebotomy, and Hazel can't make it out to a lab. Every day is another endurance test. Pain and exhaustion not only keep her flattened to her bed but make it nearly impossible for her to think. On a good day, she imagines doing some drawing, but then finds she hasn't got the energy. On a bad day, she just imagines being dead, and at last free of the pain. Day after day, she's been making it through, heroically. I told her there's some good research getting done, now, and that we might actually see treatments that can help. There's a prescription her doctor is willing to try, if we can just get that blood test done. I get on the phone and emails, and I chip away at the medical bureaucracy. I wind my way through endless twisted corridors of insurance voicemail. I keep trying to bring on the hope. There are supplements that help, but they cost money. 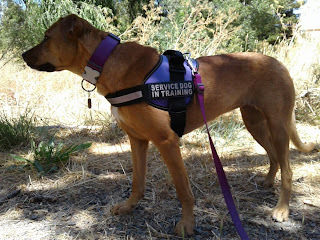 Her service dog helps, so very much, but the pet food, gear, and vet care cost money. The internet, where she gets what books and movies she can consume, also costs money. Fresh vegetable juice is a big help, so we bought a juicer. Organic produce seems to make a difference. Again, more money. With only the income provided by SSI disability -- below poverty level -- I'm sure you can imagine how hard it is to come up with money for all those beyond-merest-subsistance expenses, which are, to her, absolutely vital. They're keeping her alive. We've been grateful for donated funds that covered everything from supplements to vet visits to the juicer. But the funds are running low, so for her 25th birthday, coming up September 14, I'm fundraising once again. What a great birthday gift it would be, to have the certainty that she can afford the things that have made life bearable and kept her with us; kept her hopeful. Your donation will help with Hazel's ongoing care, and it will sustain her ongoing hope. You're keeping her alive, truly. 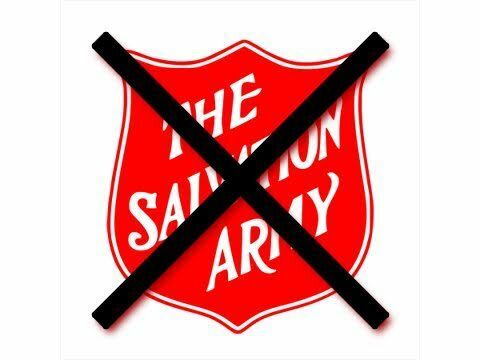 There are a couple of ways you can donate. The best is to make a payment directly into her ABLE account. To do that, go to https://www.ugiftable.com and enter the gift code A97-P1L . You'll then be prompted to enter your bank routing number and checking account number. This will be a one-time transaction; your details will be confidential and will not be stored. Thank you for sharing a little bit of summer's sweetness with Hazel! Last week's torrential rains closed our road for a day. Coming home from physical therapy I had to take a detour. The floods didn't reach our home, but "Treading Water" is a good description of our current situation, as we try to keep going and not drown in the difficulties. It's hard to write an update when there's no exciting, upbeat news to share. In fact, since the last update, the only changes are new challenges. Contributions help, so here's the PayPal button, and if you would like more of an update, despite no good news, read on! First, a quick summary for anyone who isn't familiar with Hazel's plight. She's been terribly sick for nearly 11 years, since she was 13 years old. So she lost her entire teen years and early twenties to illness. Her diagnosis is severe M.E. and Fibromyalgia with Lyme-related co-infections, plus PTSD from traumas suffered before and after her contracting neuroimmune disease. Making things even tougher, I (her mom) have M.E. too, though my case is less severe and I'm not mostly-bedbound but only mostly-housebound. At any rate, with my being Hazel's sole immediate family, we struggle through many challenges. Recent research shows that people with M.E. suffer greater debility than those with M.S., yet the funding for M.E. research is far less, and there's very little assistance available to help patients cope. M.E. 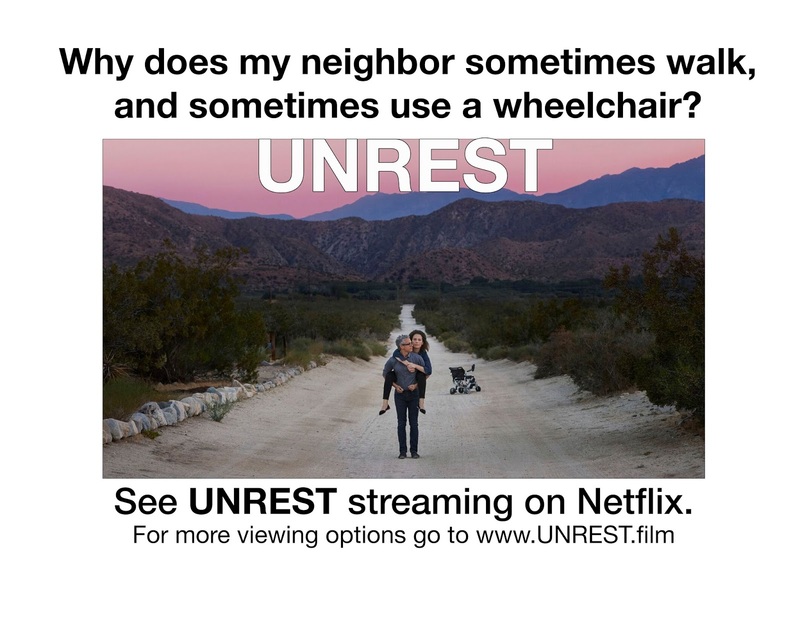 has been so misunderstood for so long, and so under-taught in med school, patients beg our doctors to watch a recent documentary, "Unrest," to give them some idea of what we're going through. Hazel has been too sick to get out and see doctors, for over two years, so we've been struggling to find a health care provider who will come see her. One nurse-practitioner, covered by her insurance, dropped her as a patient, claiming that Hazel was "uncooperative" because she was asleep when the NP came to visit, having been awake for about 36 hours previous and finally dropped off just a couple of hours before the visit. Another NP offered to come see Hazel for $500 per visit, and we were thinking we could fundraise to cover those visits. It would be worth the money and effort, we figured, because this NP worked with a medical group that specializes in Lyme disease, ME and related chronic diseases. Their lead MD has even been a co-author of recent published research. So if anyone should understand and be able to treat Hazel's condition, someone from their office should! "I forwarded your e mail to Dr. G and his nurse practitioner K. Unfortunately it will not work out for K to do a home visit for your daughter. Your daughter has a complicated case and we are just not set up to take on this kind of case on a home visit basis. I apologize about the inconvenience." If Hazel's case is too complicated for the experts, well... as you can imagine, we're beyond frustrated and frantic. But you can't stay frantic when this sort of thing goes on, day after day, for years. You just tread water. Meanwhile, there is one doctor within a huge HMO who is trying to figure out a way for their home health branch to make house calls to Hazel. Sadly, there's a Catch-22 because, in order to make a referral to Home Health, they have to see the patient in their office. But the whole reason Hazel needs Home Health care is that she can't get into their office! For now, our only hope is from a new herbal concoction we're trying: a tea of about 16 herbs including immune support, anti-inflammatories, and, I guess you'd call them anti-hypotensives? Herbs to increase her low blood pressure and circulation. But her stomach problems make it hard for her to take the herbs daily, so we're looking to get a juicer so we can add them to carrot juice, which she likes and tolerates well. Dietary problems have been a big concern recently. Hazel's finding meat difficult to digest. She gets along okay (treading water) on a vegetarian diet with lots of alternative proteins, but her frequent migraines are worse when she can't add the high-protein boost of an occasional meat dish. She gets protein powder in smoothies she can sometimes drink, plus she's very fond of veggies and particularly greens, miso soup with tofu, and our wide repertoire of legume dishes, but sometimes even the softest are very hard for her to chew. She struggles with intense jaw pain that is sometimes so severe she almost just wants to die. She doesn't want to die, really. I'll be clear about that. She isn't suicidal. And she doesn't have Depression. She has secondary depression due to her huge medical challenges, and she has PTSD, but she also has interests and enthusiasm and so much she wants to do with her life. However, she does want the pain to stop and we haven't found a way to make it stop. She has been offered opioid prescriptions but doesn't tolerate those well. Medical cannabis (high-cbd only and vaporized, not smoked) helps take the edge off the worst of the pain without giving her nausea or unpleasant narcotic effects, but she's still often in too much pain to sleep. We hope to try oxygen to get her more mobile. It would help with the orthostatic intolerance. The main reason she can't get out to see a doctor is not the pain, though that's a contributing factor, but the terrible dizziness. So again the Catch 22 -- she can't try oxygen without a prescription, can't get a prescription without seeing a doctor, and can't see a doctor without oxygen. Not only a primary care provider, but a jaw pain specialist, and a dentist, and an endocrinologist, and a neurologist, a consulting geneticist, and a physical rehab specialist for wheelchair referral --- Hazel ought to be seeing all of these, but can't get out to see any. And we just keep going around in circles, treading water, trying to get her the primary care which will be the key to the rest of her care. Now, as if Hazel's challenges aren't enough, I, myself, am facing new physical challenges. And since I'm Hazel's lifeline, her sole point of contact with doctors, pharmacies, in-home helpers and any hope of improvement, my challenges are challenges to her as well. A bad fall has decreased my mobility, making it harder than ever for us to cope with life in our two-storey home, while we can't afford to move to a single storey ground floor apartment. I've been putting off needed surgery because I have to be able to climb stairs to care for Hazel, but we're going to have to find a way around this. We're scheduled to talk to the big HMO doctor, and our IHSS case worker, tomorrow. Maybe they'll be able to offer some new ideas. Most likely, we'll continue treading water, waiting for realistic solutions. Your contributions are a huge help, however. The herbs and supplements Hazel takes are expensive. SSI Disability barely covers basic living expenses, even with rent subsidies and MediCal figured in. So besides specifically medical expenses like herbs and supplements, there are other things that help Hazel that we can get with your contributions, like decent headphones, a powerful juicer, a humidifier that doesn't make a lot of noise. Plus, we're saving what we can in her ABLE account, so that she will have a little buffer to help her transition to some other living arrangement when someday I'm no longer here to be her lifeline. I'll be happy to express my thanks in any form from poems or prayers to tincture or a tarot reading! Just let me know. And if you can't contribute, but you'd like to help, please share this post. Thank you for helping Hazel survive, keeping her head above water! Gratefully, Hazel's Mom and Lifeline, "Creek." It’s major update time. Plus it’s holiday shopping time! 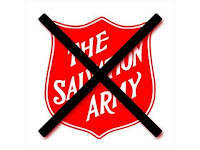 When you’re out in the hustle bustle, please do not reward that annoying bell-ringer, but instead drop a donation to Hazel. Shopping of any sort is quite a thing for people in the best of health. For Hazel, it’s almost impossible. But we’ve got a new way to help Hazel with her shopping. She now has an ABLE account; more about that below. So please do help her with her shopping, if you’re able. The frenzy that begins with a bang at Halloween and ends with a post-New-Year’s whimper passes us by almost unnoticed, as Hazel can’t go out shopping at all. Given enough time and help she can choose things online. We order online, or I go out shopping for her… and exchanging… and exchanging again. Whether it’s clothing or equipment, we have to get things into the house and keep them for a while until she has energy to try them out for fit, comfort, and functionality. We usually have to repeat the process three or four times for any one item, whether it’s a blouse or a pair of headphones. Or even a car! 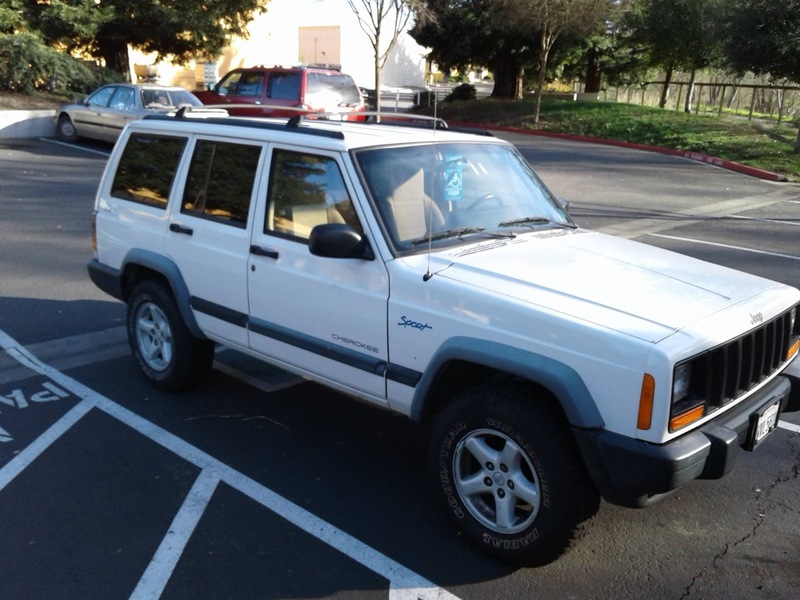 This past year has marked some major milestones, and one of those was replacing of the car we fundraised for—a 20-year-old Jeep Cherokee Sport that itself had replaced our moldy old 30-year-old Toyota Camry. The Jeep was the only thing we could find in our price range at the time so I took a chance on it, but it turned out to be way too noisy and bouncy a ride for Hazel. So I thought, what would be the quietest, smoothest, and big-enough, ride? 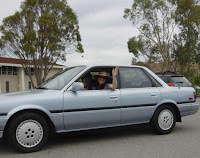 With the able assistance of a helper who once worked at a dealership, I went out test-driving new cars just to get a feel for what’s out there, thinking we’d have to fundraise again for maybe a 10-year-old vehicle this time. But behold, a miracle occurred, just about! I found out the absolute best thing: an electric vehicle — the Kia Soul EV — and there were rebates and incentives from the manufacturer, the dealer, the state, the county, and the electric company, that made it an amazingly doable deal. 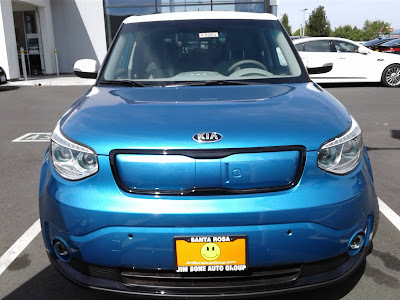 So using funds from the Jeep’s sale and additional contributions for a down-payment, I leased us a brand new Soul with super-low monthly payments and maintenance costs so close to zero, it practically pays me to drive this car. So thank you once again for making wheels possible! Another special thanks goes out to KW who purchased a highly portable electric wheelchair for Hazel. It’s another miracle. It will be delivered by early December, and it’s so lightweight and compact it can even be folded down and taken on an airplane flight. It’s an important piece of the transportation puzzle because it will fit easily into the Soul, making any appointment a smooth trip. Non-electric but heartwarming news is that we have Hazel’s Hound. 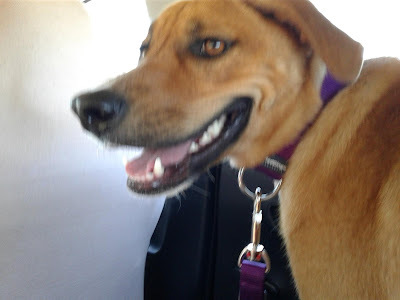 Although we failed to reach our fundraising goal to cover professional training, we found the perfect dog at a rescue adoption event and committed to training her ourselves. Luckily she came with good, solid, basic training. Also luckily, I’ve been able to find some good resources and precedents for training one’s own service dog, so with those as encouragement we’re working on everything from retrieve, to help me up (from the tub, or from the floor after a fall) to not only finding and retrieving items but carrying them between us. Reina is a super-mellow but strong and sturdy mix of Shepherd and Ridgeback, who has excellent grocery store manners, is getting pretty good at her dining out behavior, and even knows a couple of standard dog tricks so we can show off her obedience to anyone who’s dubious. The physical support she’s learning to provide is valuable enough, but already her emotional support makes nightmares and panic attacks far less frequent. We’re still having some trouble with those, and with neighborhood noise, and the sort of special sleep disruption that troubles most people with Myalgic Encephalomyelitis, so our goals of getting Hazel out for urgently needed dental care and specialist appointments is still unreached; and she still needs financial help to get that dental and medical care and supplies, as well as some schooling and art supplies that will help her occupy her mind in positive ways. All of which need brings me to the topic I mentioned up top, of the ABLE account. ABLE accounts were set up to assist people who became completely disabled by the time they were 26 years old. A person disabled at such a young age has not had an opportunity to complete school or training and then work enough to amass any sort of nest-egg. So she not only has no retirement account and no opportunity to create one, but she also has no funds set aside to cover the needs her disability creates. Like the need for a special desk chair, that reclines comfortably so she can rest right there when she gets dizzy. Or the need for text books and supplies so that she can complete a high-school education at home and move on to college-level study, albeit at a very slow and broken pace, as the pain and brainfog allow. Also, Hazel can’t count on her mom at her side helping her all her life. Though disabled myself, there's so much I've had to help her with. The IHSS hours that provide some assistance with household chores and errands do not cover the vast range of additional help she needs, from choosing a desk chair or text books and school supplies, to handling paying bills or banking, to waking at all hours of the night to help her cope with nightmares or noise. Someday, she’ll need a fund on hand to hire help beyond what IHSS provides. But how to raise funds for all these things, and keep the funds available, without her being penalized by losing her SSI Disability income? A trust fund might not affect her SSI Disability but the funds aren’t accessible and the cost of setting up the trust is prohibitive. 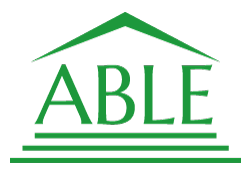 I was researching, trying to find a way to create a trust that could work, when I learned about the new ABLE account. 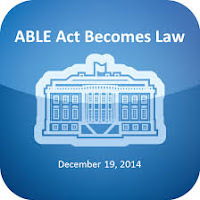 But it still took a few years for the ABLE legislation to become the ABLE reality. 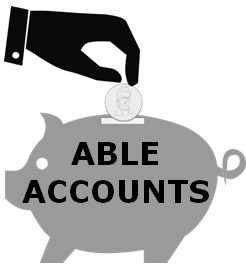 Now, ABLE allows a disabled person, who was incapacitated by the age of 26, to keep a certain amount of funds in a special savings or interest-bearing checking account, earn interest, and access those funds for medical expenses, education, even travel and entertainment. 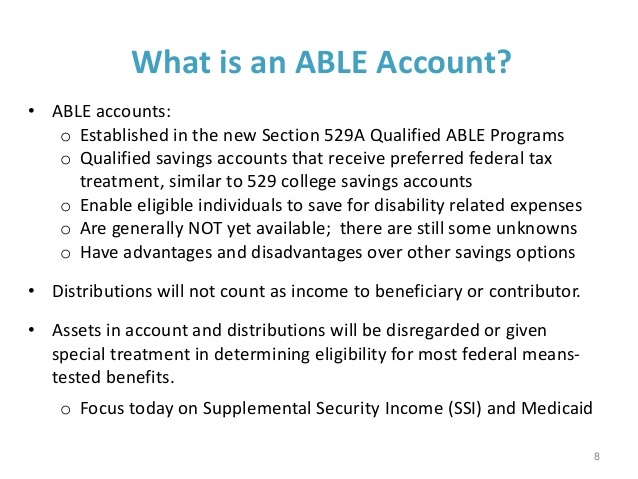 So having an ABLE account will really mean a chance to live a fuller and more satisfying life. And while we haven’t yet set up a paypal that goes directly to the ABLE account, that's in the works, and meanwhile you can either contribute by paypal which we’ll then transfer into ABLE, or you can transfer funds directly from your bank to Hazel’s ABLE account by following this link to UGiftABLE.com and entering the Ugift Code: A97-P1L That code will send the funds to the correct account. Please note that it's going to say it's going to Coll. That was Hazel's birth name. Until she can change all her paperwork and ID, that's what shows up on financial forms. So it will say "Coll" but Hazel will receive a notification and Hazel will thank you. Well, I’ll help her get the notification, and I’ll help her thank you, for helping to make not just the season, but life, bright. And as I mentioned earlier, in case it's easier for you, the PayPal button still works. It's just one tiny extra step for mom, to transfer funds to the ABLE account, and I'm happy to do that. It's all-electric, and easier on the ears than ringing a bell! 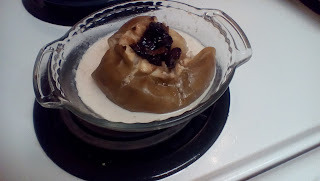 Wishing I could surprise and cheer her somehow, I made a baked apple--a soft food and a bit of a treat. But when I took it up to her she only felt bad, having to turn it down. "I'm sorry--I can't eat it right now--the pain is bad." Anyone want a baked apple? And that's how it's been going since early May. After the naproxen and acetaminophen kick in, maybe she can handle the baked apple, or a smoothie, or sorbet. Maybe tomorrow I can get her a flowering plant, for Thanksgiving, instead of a feast, or maybe we'll have news of progress towards her puppy. Maybe I can find a funny story to share with her. My job is to conjure that rare smile. Okay, so here it comes again, the link where you can help me ease her pain and repair her smile. Because as nice as flowers and funny stories are, and as much as she needs her service dog, she really needs to be able to eat. Oh, and please nominate her to win a $500 donation from YouCaring by leaving a message, at the fundraiser linked below, including the hashtags #YouCaringGives and #HealHazel. 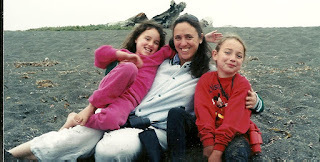 Here's a pic of Hazel (on the right in red) with her sister and me, once upon a time, at the beach, when all was not gloom and doom (just so you know we're not some kind of dismal ghouls). Snapped at the beach on a happier day.